Every business faces constant threats to its network security. Every day sees new malware being made and new refinements to attack strategies. 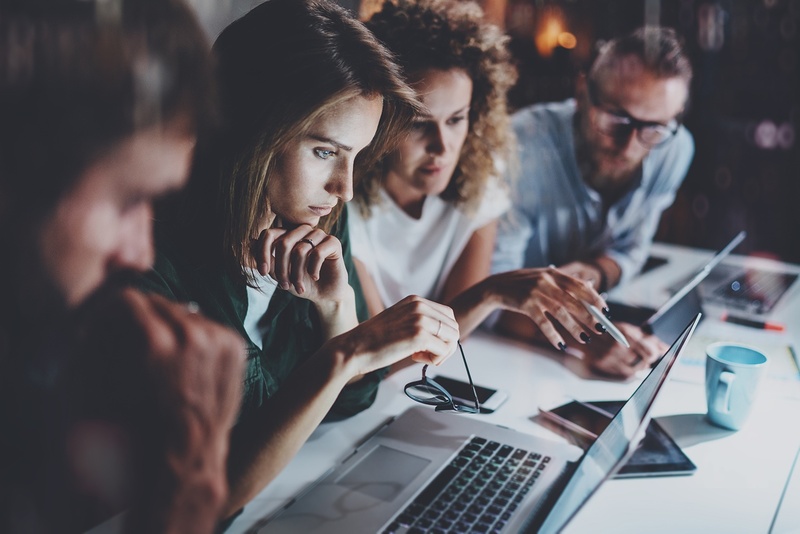 Countering these threats requires constant vigilance from a team of cybersecurity experts — each of whom maintains up-to-date knowledge of the latest threats. However, building such a team internally can be prohibitively expensive for all but the largest businesses in Florida. This is where managed security service providers (MSSPs) can be enormously helpful. Enterprise-grade security service providers like Compuquip Cybersecurity can help businesses in Florida manage their cybersecurity needs quickly and efficiently—protecting their networks and sensitive data from harm. We will answer questions and provide help with any initial issues that occur with the devices we cover. If you need a status update or have a question about specific device security management, we’re here to help! Security information and event management software can help you keep an eye on major security events on your network. When you use our SIEM management services, we take over the administrative overhead of managing your SIEM solution so your team can respond to incidents more quickly. With our co-managed services, you maintain control of your data while augmenting your ability to manage a complex SIEM environment by utilizing our expert resources. We will manage your security devices for (or with) your team as necessary. This means we’ll make changes, add rules, provide software updates, and provide other support to make sure you get the most out of your security devices. Our team of certified cybersecurity experts will collaborate with you on a prescheduled basis to offer our expertise. This means that you’re never in the dark concerning the status of your enterprise’s cybersecurity protections. If necessary, we can provide onsite staff to augment your team—whether it’s on a short-term basis for issues such as vacations and sick leaves or on a long-term basis to fill gaps in your organization’s cybersecurity team. Our team will watch for threats and alert you and your IT team if anything is identified. You don’t have to worry about being caught off-guard because we’ll make sure to keep you in the loop if there are any cybersecurity issues that may be a threat. Our team will manage the security of the endpoint devices, perform patching, and provide other services that help you ensure that your security endpoints remain safe and secure. We will work with your team to co-manage these endpoints to keep you in the loop. We’ll monitor your network firewalls to ensure that they use the correct definitions and have no rules conflicts that could impact the performance of your network. If changes are needed, we’ll make those changes and keep you informed. Every last one of these services is delivered by a Florida-based team of professionals who care about your business’ success. We know the challenges that you face in managing your cybersecurity and have decades of experience in protecting enterprises from online threats. Our managed enterprise security service is delivered by a team of dedicated and highly-trained experts who are certified in a range of cybersecurity tools. With our team in place to oversee your company’s cybersecurity needs, your internal IT team can be freed up to focus on growing your core business. Our team brings their years of experience to ensure that your IT security technology investments are used to their fullest so you get the most protection. Our MSSP team will work hard to provide strong security information and event management (SIEM) for your network without impacting performance. Our team will help you establish a consistent security framework that can be applied across your organization to improve your overall network security. Using our team of enterprise cybersecurity experts costs a fraction of hiring a similarly experienced and trained team internally—saving you money. Fill out the form below to learn more about our managed security services and how we can help you protect your business.